It is finally here. Today, Wednesday, September 4 we leave the USA. Some days we thought it would never get here. We leave out of Houston tonight. Tomorrow we have a long lay-over in London. <<READ: QUICK SIGHTSEEING OPPORTUNITY>> We arrive in Durham on Friday, September 6. Thank you for all the prayers, support and encouragement. HERE WE GO! Daddy Sam’s BBQ-Carthage, TX. 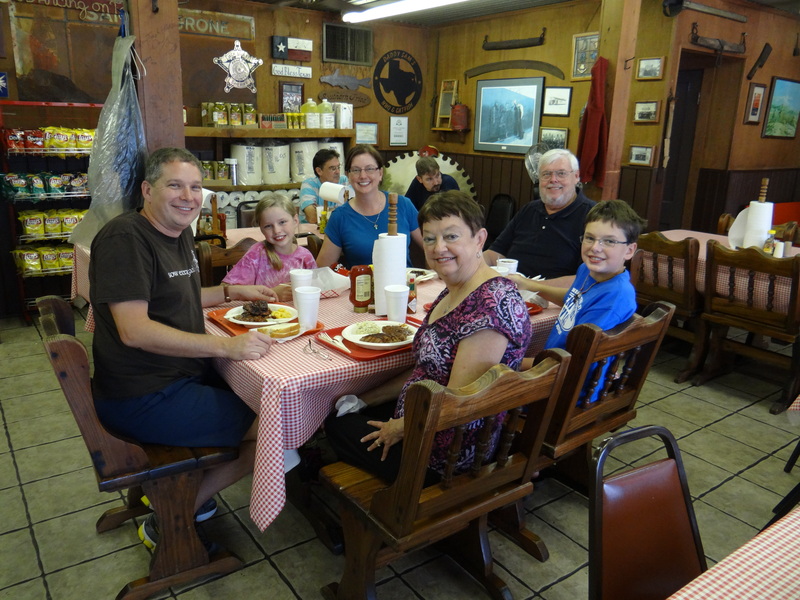 We stopped off at a favorite BBQ place on the way to visit family in Texas. This one is worth going out of your way to find. It was a little taste of Americana along the way. Prayers for safe and exciting travels. Your faith in this journey is an inspiration. Keep the news coming!! I offer prayers for safe travels; you are all an inspiration as you have demonstrated submission to God’s call. Keep the notes coming!! The Brits could use a good BBQ recipe. Speak with the cook. Exactly, Steve. I think we need a little cross-cultural exchange! We’ve seen yall having a lot of fun, so when is the studying going to begin? Rob is off to the University this morning. He attends a few seminars this week. Classes and his work all begin in earnest on Oct. 1. Colonel cracks the whip! I get cranked up Friday. And this isn’t fun alone. I call it RECON! Thanks, Brenda. I know that is powerful stuff!